Discover some of Australia’s best-kept secrets on the 6 Day Eyre Peninsula and Flinders Ranges Tour. 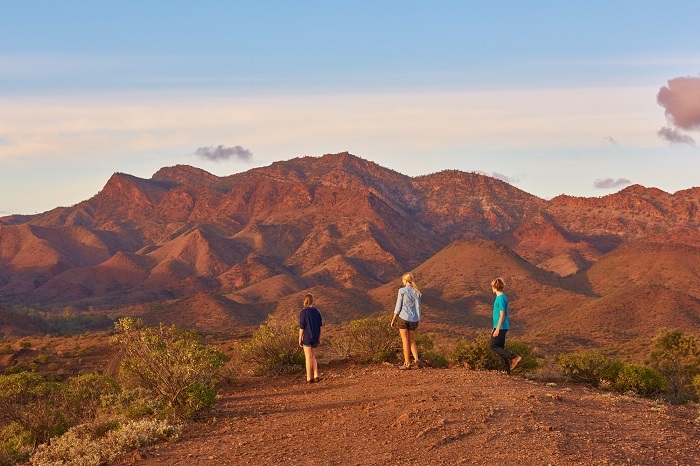 You’ll get to experience rugged coastlines, stunning sea views, and the ancient landscape of the Flinders Ranges. Marvel at the amazing colours and learn more about the local wildlife as you go, before bedding down under the beautiful southern skies. 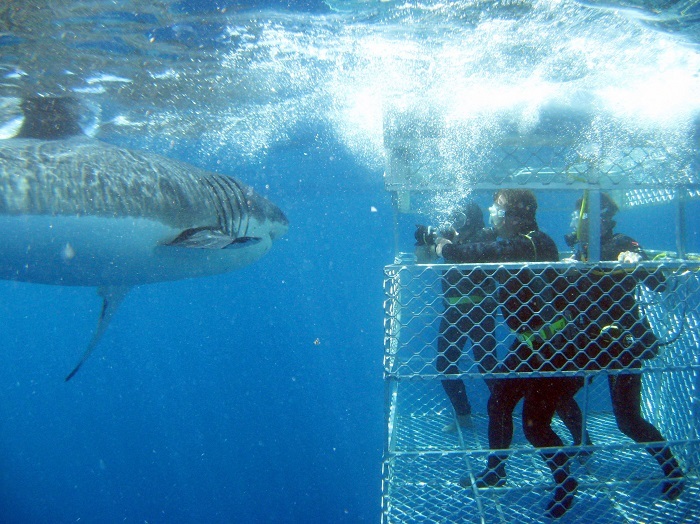 The Eyre Peninsula is famous for its sea life, and you'll have the opportunity to get up close and personal with some of its most charismatic residents with optional experiences including shark cage diving and swimming with sea lions and dolphins. Please make us aware of any dietary requirements when you make the booking. Part of the enjoyment of this tour is the active hands-on participation of everyone and you will be required to assist with light duties such as setting up camp, preparing meals and cleaning dishes. Comfortable walking shoes, 1 litre water bottle, insect repellent, weather appropriate clothing (including rain jacket), sleeping bag, sunscreen, swimmers and snacks in your hang luggage. It is also a great idea to have a torch or headlight and a travel pillow. 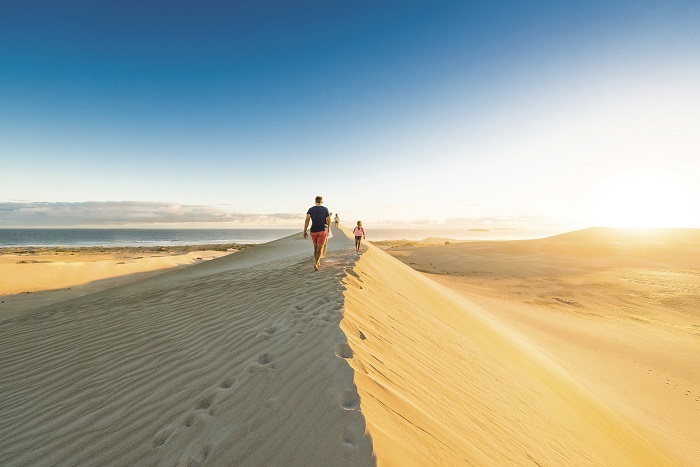 Embark on a 6-day Eyre Peninsula and Flinders Ranges Tour and uncover Australia’s top kept secret, the Eyre Peninsula. 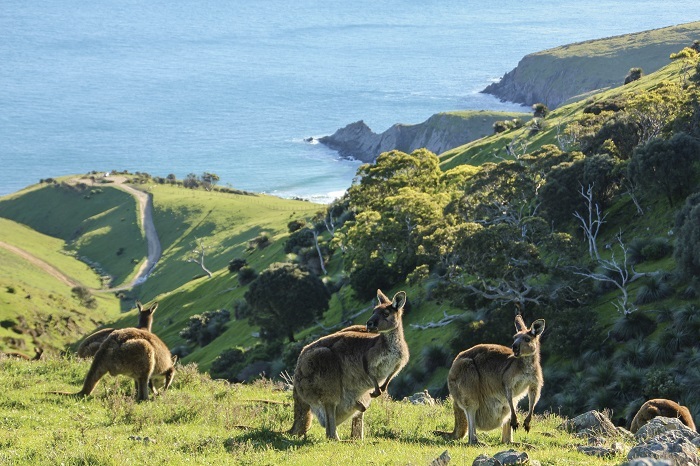 From the pristine coastal line of South Australia to the highest peak of the Flinders Ranges, this part of Australia will showcase you the vast changing landscapes and brilliants colours of this region, that will leave you speechless! Our Eyre Peninsula and Flinders Ranges Tour begins as we depart early from Adelaide the morning, stopping for a quick coffee in the well-known wine region of Clare Valley. 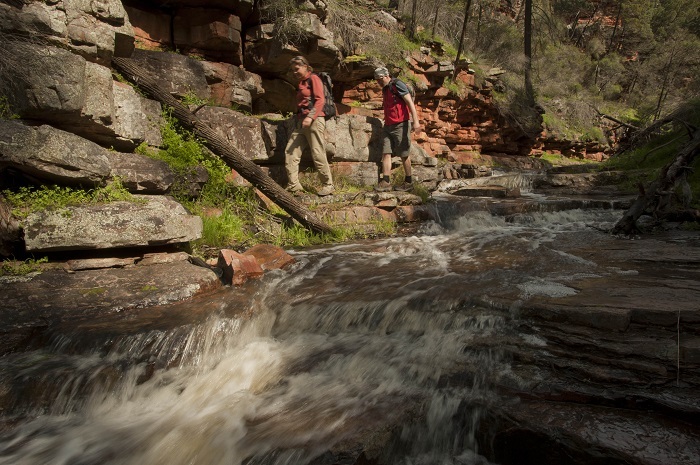 We continue the tour onwards to the Southern Flinders Ranges National Park where we stretch our legs with a walk and lunch at Alligator Gorge. We set up camp at Warren Gorge with time to explore the area before we bed down for the night. Today we arrive on the Eyre Peninsula, one of Australia’s hidden gems. The area is a spectacular landscape of red rock ranges and stunning beaches, with a large range of native wildlife. Being a bit off the beaten path, very few tourists visit the area, but as you will discover – they are missing out! But before we start our exploration of The Eyre Peninsula, we begin the day with the awesome Dutchman’s Stern hike. Then we’ll pass remarkable silo art in the country town of Kimba on our way to the coast. We’ll have a quick lunch stop, prior to continuing our journey back on the road en route to Venus Bay and Talia Caves. Accommodation for the night, will be located at Coodlie Park, where we enjoy a Aussie BBQ on a working farm. On day three we may join up with the group coming from Perth en route to Adelaide. 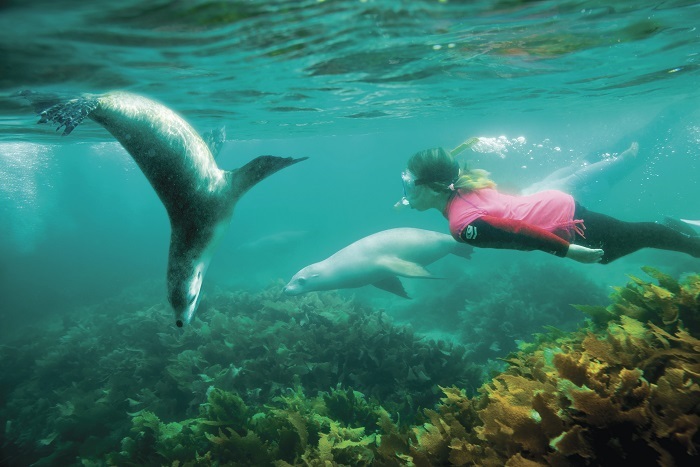 The Eyre Peninsula is well known for its water wildlife, and this will allow you to either swim, snorkel, or splash around with the sea lions and dolphins on a 3-hour cruise at Baird Bay. This highly recommend tour is optional and can be added for $180 – an experience you will treasure forever. If you prefer to stay on land, you have the morning free to enjoy as you want. We’ll meet up for lunch then head to a remote beach for more adrenaline filled activities. Sceale Bay Surf School will conduct surf lessons for all those who are keen to hit the waves, or you can chill out on the beach if that is more your style. Concluding day three, we head back to Coodlie Park Bush Camp. Please mention at the time of booking if you wish to add this optional extra to your tour. On day four, we the adventurous activities continue with sandboarding at the Lake Newland Conservation Park sand dunes. We continue our exploration of the Eyre Peninsula with a lunch stop at Port Lincoln. You’ll have time to explore the town before we set up camp at Mikkira Station. You’ll sleep on this private campground surrounded by eucalyptus trees and koalas. Day five tests the fears of participants on the tour, as you will have the opportunity to swim with Great White Shark (own expense) on an optional cruise. 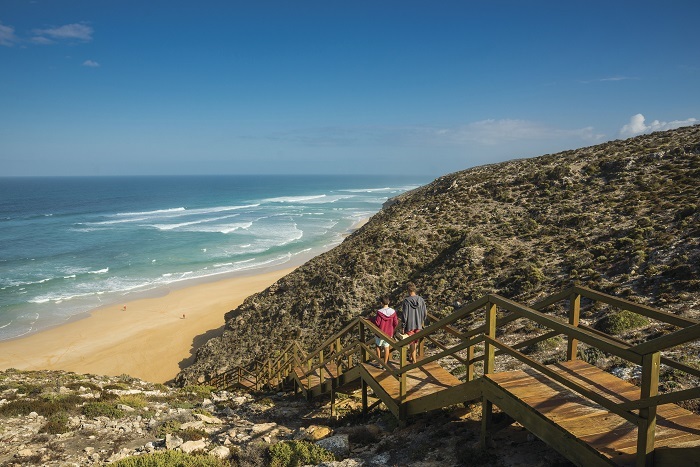 For those who are not keen on swimming with the sharks, we’ll travel along Whaler’s Way to take in the spectacular coastal scenery this part of South Australia is famous for. 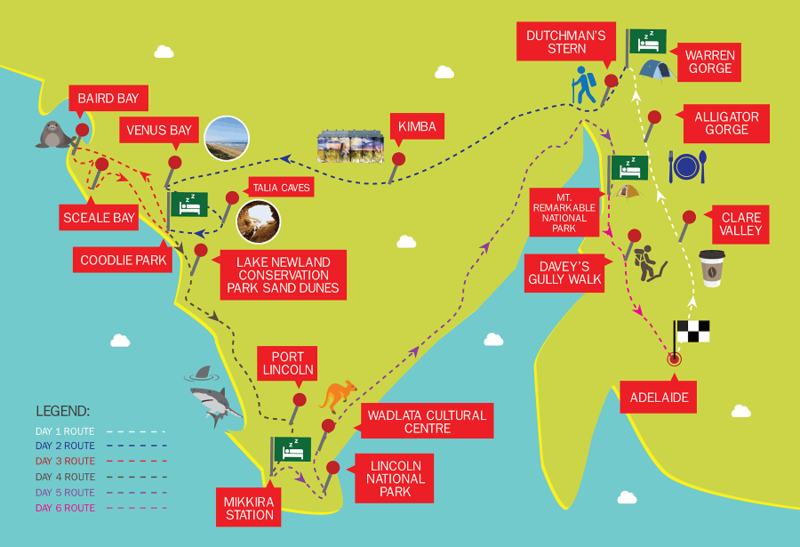 We’ll visit the Wadlata Culture Centre and hopefully spot some local emus and kangaroos. We’ll meet back up for lunch in the Lincoln National Park before heading to Mt Remarkable to set up camp. Our final day sees us on the home stretch, with arrival into Adelaide being the final stop on the tour. We enjoy one last hike – Davey’s Gully Walk at Mt Remarkable before starting the journey back to Adelaide. We travel through a few of South Australia’s pioneer mining towns including Kadina, Moonta and Wallaroo. We arrive in Adelaide and say goodbye to all our new friends from the Eyre Peninsula and Flinders Range Tour.